HDMI PS3 PS4WiiU xbox360 is an aluminum-based HD resolution gaming monitor. Its good sound quality, clear quality, good heat dissipation, with metal texture, design reasonable, beloved by the majority of game enthusiasts, model shooting lovers. This product is in line with industrial equipment and home entertainment audio and video display, is definitely a good choice. Compatible PS3 PS4 XBOX360 Raspberry pi, industrial equipment, car audio and video, car headrest, medical equipment display. 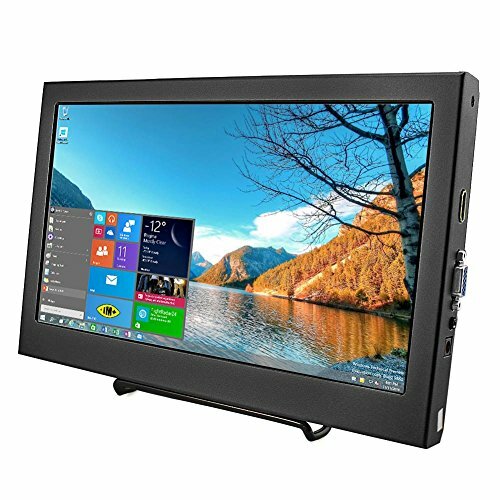 The link for our other size display monitor. 1. Resolution: 1920X1080, up to 1080p. Display Technology: IPS LED Technology Display with aluminum material design. More durable for usage. 2. Works perfectly for PS3 PS4 WiiU XBOX360 Raspberry Pi 3, 2 1 Model B B+, industrial equipment, car audio and video, car headrest, medical equipment display. 3. Screen Size: 11.6 inches. Aspect ratio: 16: 9 (width: height). DC:12V/2A. Appearance size: 288mm x 185mmX25mm Display area: 257mmx 115mm. If you have any questions about this product by Elecrow, contact us by completing and submitting the form below. If you are looking for a specif part number, please include it with your message.